Google Thewallinna and other creatures: Skirt sloper or how I started my skirt collection. 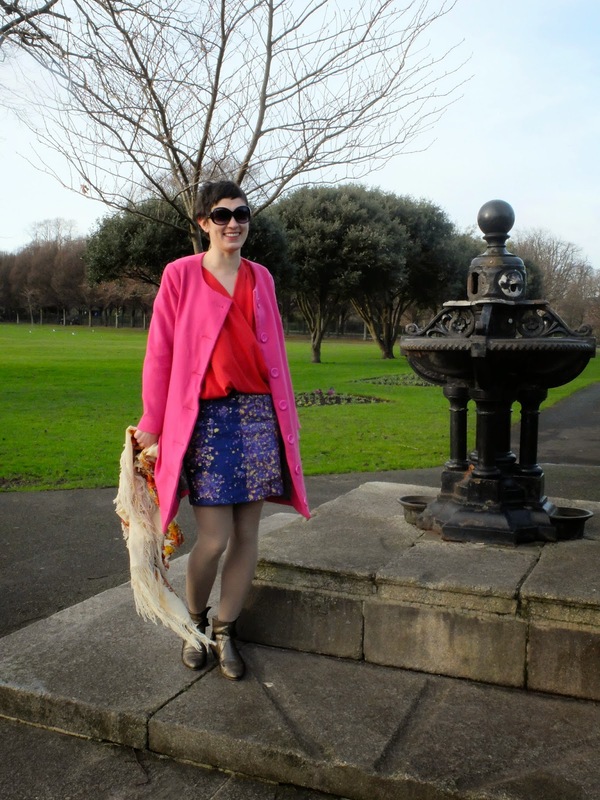 Skirt sloper or how I started my skirt collection. A few months ago, I went back to school, to the National Tailoring Academy here in Dublin. During the 30-week course we are supposed to learn how to draft and sew a ladies jacket. This course has awoken my dormant drafting skills which had been hibernating since my move from Japan back to Europe, and I realized how cool it is to draft your own patterns! So I decided to experiment with my basic slopers. What is a sloper? According to the dictionary, a sloper is “a basic pattern without seam allowances used as a tool to create other patterns”. When I lived in Tokyo, I took pattern-making classes with Ayumi-sensei, and she helped me develop my bodice and skirt slopers. Despite the fact that it took us ages, I ended up with both a bodice and skirt which fit me like a second skin. As I looked at the sloper, tons of skirt designs started flickering in front of my eyes and I began to jump around the room. Of course, I immediately brooded over the idea of reducing my fabric stash and creating a mini autumn/winter skirt collection. How does that sound? My all time favourite Andy coat! 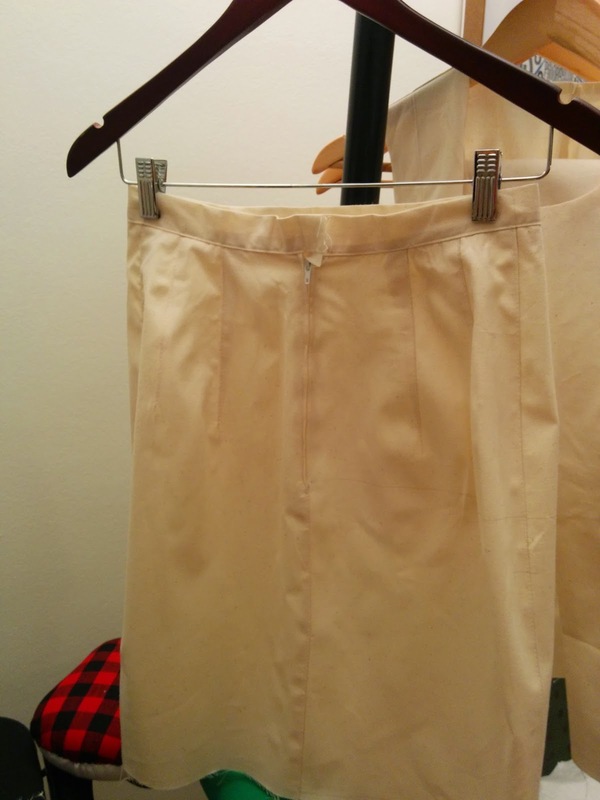 Today, I’ll show you a skirt made from the sloper, with no modifications whatsoever. But first, the sloper! Did you notice that there are two back darts? Usually multiple darts are drafted in areas where the difference between the waist and hips circumferences is very big. For example, if you have a protruding tummy you may want to add two darts to the front for better shaping. In my case, due to the 30-centimetre difference between my waist and hips, my swayback is too prominent; therefore I drafted two darts in order to make the transition from the waist of the skirt look smoother. And here is the skirt! I could not help using some of the zillion metres of NiniIro fabric which I brought from Japan. As ridiculous as this may sound, I underlined it with silk organza. If you haven’t ever used NaniIro double-gauze before, you may not know that it wrinkles quite easily. And tell me, who likes to iron? Ok, I do, but maybe not every day ;) Besides, silk organza helps create a sharp and crisp look. So, this is the basic of my collection. The next skirt will be inspired by one of the skirts from this Pinterest board. Have you been drafting lately? Nothing like a perfectly fitted skirt! Love the contrasting panels. Great skirt! I must try silk organza as an underlining sometime. And, your hair looks so cute in these pictures! Инна, очень красивая юбка! И сидит, действительно, как вторая кожа! So cute! I can't wait to see the next one! I have a half finished bodice sloper somewhere in my UFO pile. It would be so useful to finish it off, but apparently I just can't be bothered! The mistake was probably to follow instructions from a book, rather than go on a course where I would be shamed into finishing it. Thanks, Bella! You should totally try it!! This can be your new year resolution. Nothing can beat an interaction with teacher vs. written material or even a video, especially when it comes to fitting. This is so freaking cool! Can't wait to see your capsule skirt wardrobe! Your skirt is beautiful! You just convinced me to finish my skirt sloper! I still love that shirt :) and nice job with your skirt! I am fully sold on drafting from slopers and might try one for pants this year. You look great! I love the photos. The skirt seems to fit you perfectly. I love the naniro fabric, but I know what you are saying about gauze. It is perfect for baby clothes, but not so much for lady's. This shirt is my favourite! Nothing feels better than silk! Learning how to make a sloper is truly an art. I've been trying to learn (from YouTube videos) and I've managed to get the "basic" idea, but that's about it! :) Good luck with your new classes and the skirt looks great! I love your fabric - the perfect skirt :-) I have a skirt sloper, but have never done anything with it (naughty!). I'm in the middle of drafting a bodice sloper, I think I'm up to muslin two - I've got so many ideas ready to roll once I've got this done, I should just hurry up! 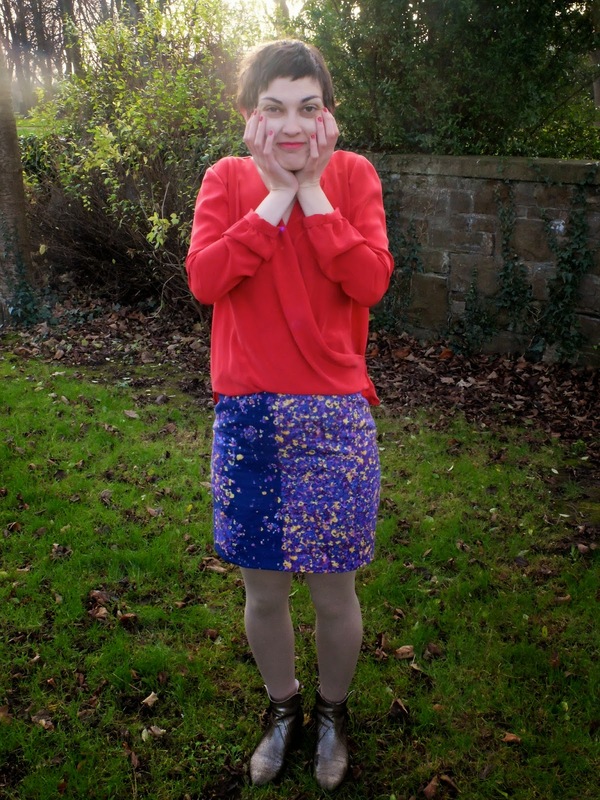 There's nothing better than finding that perfectly fitting skirt for you :) You look terrific, and how adorable is that nani iro print? I LOVE it! I love the skirt! It fits you really well! Did you make the top also?